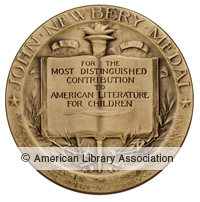 Avoid "easy" opinions like "good" or "bad"
Newbery Book Review Examples from Last Year! "I can't describe with words how much I enjoyed this book. It is about three different refugees fleeing from different places for different reasons at different times. The plot is amazingly fluid, the author moves between characters at exactly the right time, the ending blew my mind, and the characters are so interesting. It is a novel, but it is still set in real time periods with real historical situations. Now, my opinion. Have you read the last part? This book was incredible. It managed to be distinguished, thrilling, fun, and suspenseful. I would recommend this to anybody and everybody and it is very distinguished." - Avi R., 7th grade. "See you in the cosmos was a very good book. It is about a boy named Alex who is 11. Each chapter is a recording filmed on his i pod. This book was very creative and exiting and once you start reading it, you just really want to know what happens next." -Noah K.
Find passwords to access databases outside of school. We were very fortunate to have school librarian Laura Lutz stop in to visit the library's Mock Newbery Elective! 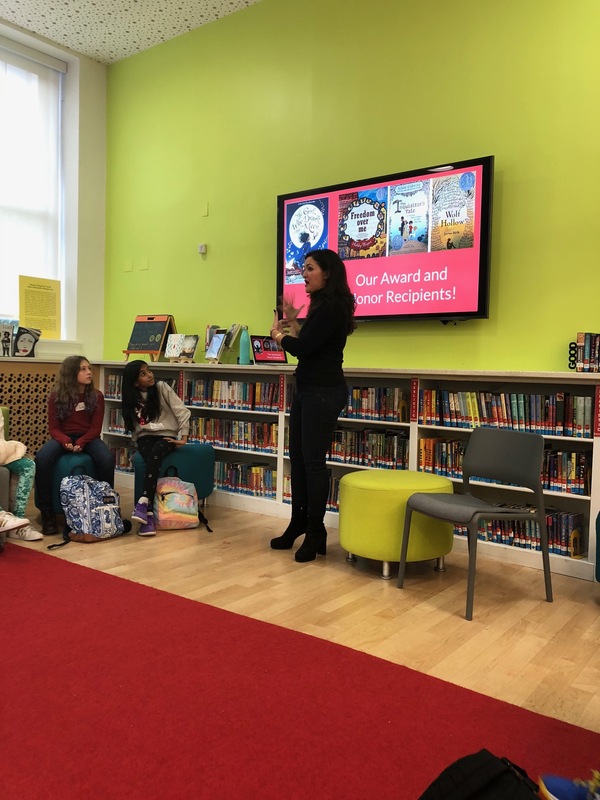 Ms. Lutz talked about her experiences being on the actual Newbery Committee in 2017. Our students had a great time listening to her stories, and asking questions about the fascinating nomination & election process. Below are the contenders for the 2019 BCS Mock Newbery award.